This is a "work horse" bar. A mix of simple and complex carbs to get the energy level up and keep it there. A touch of protein has been added for those longer efforts and recovery needs. The bar is finished off with some healthy fat and antioxidant power houses. 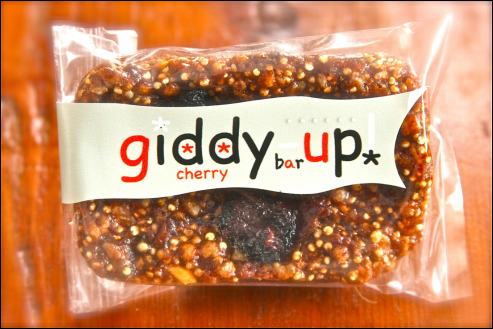 Whether it's "big race day," "crazy office day," or "coffee shop day," the giddy-up bar will not disappoint!